This week's Daily Record column is entitled "How Will Lawyers Use the iPad?" Lawyers’ reactions to the iPad are mixed, to say the least. A few, like myself, are gung ho and can’t wait to get their hands on one. Another minority appears absolutely convinced the iPad is destined to fail from the very start, having little to no utility for the legal profession. The rest either could care less or are reserving judgment until the dust settles. In other words, the vast majority of lawyers are not yet sold on the idea of the iPad. Many of those same attorneys, however, have expressed frustration at having to carry around large stacks of documents while commuting or traveling, and have indicated the iPad would hold far more appeal if they could annotate and edit documents on it. Not surprisingly, I think it will. There already are a number of iPhone apps that permit the annotation or revision of a variety of documents. Some are quite popular, others are not — in large part because of the difficulty inherent in working with documents on a screen of such small proportions. The iPad’s larger screen will breathe new life into those applications, and other new apps will be developed to allow documents to be annotated and revised on the fly. Let’s take a look at a few of the iPhone apps already available that permit annotation and revision of documents. Documents to Go Premium allows users to view and edit Word, Excel and Power- Point files. RightSignature allows Word or PDF documents to be signed using the iPhone app. Those files also can be uploaded to RightSignature’s Web site for distribution. Aji allows PDs to be signed and marked up, and enables text notes, strike-through text and highlight text. Documents also can be annotated in free form; however, users can’t distribute the documents using the iPhone interface. Instead, the annotated document must be processed using Aji’s Web site on a computer, then sent. free-form annotations such as a signature and text boxes. The ability to highlight text is in the works, according to Zosh CEO Joshua Kerr. Some companies that developed the apps I’ve mentioned already have announced that iPad-compatible apps are in the works. 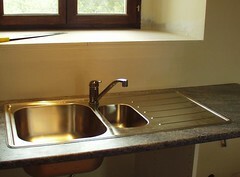 I have no doubt other new apps will be introduced, tailor-made for the iPad. Such functionality will make the iPad a must-have for lawyers and other business users. While I think the iPad will be used primarily as a device for media consumption, undoubtedly there is room for certain types of business use that will make it a mainstay for business travelers and commuters. Are blogs vital to a law firm's online presence? This week's Daily Record column is entitled "Are blogs vital to a law firm's online presence?" One of the most effective ways to establish an online presence and showcase your legal knowledge is to start a blog. Many who advise lawyers about creating an effective Web presence consider blogs to be the cornerstone of a law firm’s successful online presence, and for good reason. Blogs are an unparalleled tool for educating clients, indulging in intellectual discourse with colleagues, or staying on top of information. However, in my opinion, if the very idea of maintaining a legal blog makes you groan, then it’s entirely possible that blogging is not compatible with your interests or your personality. That’s perfectly fine — there are, then, other forms of social networking that may be a better fit for you and your law practice. In the past, when I’ve expressed such an opinion during online discussions, I’ve been met with vehement disagreement. Many assert that a law blog is a law firm’s “home base” and that an online presence is wholly ineffective without it. Only the fittest will survive, not because the others are awful necessarily, but because we would be deluged with far more than we could absorb if every blawg that came down the pike was a winner. There still would be a natural vetting process, and peo- ple would still read only the few that capture their interest best... There is a saturation point. There are diminishing returns. There is survival of the fittest. In other words, there’s simply too much competition. New bloggers face an uphill battle for readers, and only those with a true passion for their subject matter will be able to maintain long-term interest in their blog. Second, the importance of blogs as a firm’s online presence has decreased quite a bit due to the recent explosion of social media and the vast increase in the number of platforms from which attorneys can participate and share their legal work product. The online landscape is changing rapidly, and while blogs are still an important tool, there are others that are just as effective. Lawyers can connect with other attorneys and potential clients on LinkedIn, Facebook, Twitter and other law-specific platforms such as Martindale-Hubbell Connected. Similarly, lawyers now have available many other means through which they can disseminate and share content via social media. Articles, pleadings and newsletters can be uploaded to JDSupra, Avvo or docstoc — all of which are well-traveled platforms that weren’t in existence just a few short years ago. The bottom line is this: An online presence is vital to success in the 21st century; however, there is no right way to create an effective online presence for a law firm. Instead, determine your goals for online interactions, then determine which platforms best forward those goals, and best fit your personality. You may find that blogging is the ideal platform for your firm. If not, don’t despair. You can create an effective online presence nonetheless. Carolyn and I are both speaking at IgniteLaw on Wednesday March 24th at 7 p.m. This week's Daily Record column is entitled "How the iPad will change the world." My assertion that the device will usher in a new age of online content consumption is not unique. Many others are suggested it as well: Luke Hayman, for one, at www.Pentagram.com predicts the iPad will change the direction of journalism. Remove metadata--even when sending documents from your phone. In the latest episode of lawtechTalk, you'll learn all about metadata--what it is, the risks it presents, your ethical obligations and how to remove it from your legal documents, even when sending documents via email using a smart phone. During the episode I interview Cathy Brode, one of the co-founders of 3BView. Episode #8 (Part 1 & Part 2) features, and is sponsored by 3BView, which offers metadata removal products, including a server-based option and 3BCleanDocs, which is their SaaS-based metadata removal system. 3BCleanDocs automatically removes metadata from documents sent via email, even those sent via your smart phone. There are 2 parts to this episode, which can be viewed here for FREE: Part 1 & Part 2. 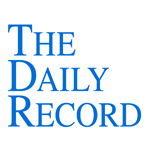 This week's Daily Record column is entitled "Useful programs and online tools for litigators." 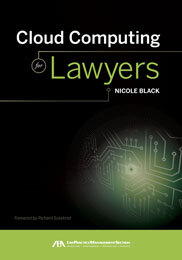 As I prepared to write my book about cloud computing for lawyers — which will be published later this year by the ABA— I researched different software programs that would make it easier for me to organize my thoughts and keep all of my information readily accessible as I wrote. Ultimately I settled on Scrivener — www.literatureandlatte.com/scrivener.html — which is available for Mac users only. Scrivener is a word processor and project management tool that makes all of the documentation and information that you will be using to create a document available in one application. I have found it to be an invaluable tool that is making the process of writing and organizing the information I’ve collected about cloud computing much easier. As I was using it the other day, it occurred to me that Scrivener easily could make the process of writing and organizing a summary judgment motion simpler and more streamlined. When I was an associate at a litigation firm, I used to find myself getting frustrated as I flipped through stacks of papers, trying to find a certain document, case or exhibit. Complex cases with large numbers of documents, deposition transcripts and exhibits in particular were difficult to manage. Scrivener, or a program like it, would have made the process so much easier. To begin with, each portion of the motion, from the notice of motion to the supporting affidavits and the legal memorandum could be treated as a “chapter,” which simply is a folder within the document. The next step is to associate supportive documentation — exhibits, cases, deposition transcripts, etc. — with each section of your motion. While drafting the document, there is a list of associated files alongside of it that can be opened with a click. Associated files can be text files, image files, Web sites, audio files or even videos. Another very useful resource for a litigator is CriminalSearches.com, a Web site that allows users to conduct a free search to determine whether a witness has a criminal record based on information available in public records. The results are not guaranteed to be 100 percent accurate, but the site does a surprisingly good job. StreetDelivery — www.streetdelivery.com — is another handy service that provides lawyers with access to to almost 10 million digital images of inter- sections located throughout the United States. Although the database does not yet include photographs of every part of the United States, most of the East Coast already is available within the database. If the particular intersection or location, such as a parking lot, that you are interested in is not included, you can submit a special request for a photo via the Web site, and it will be delivered the next day. The service charges $109 per request for solos and small firm lawyers. Finally, there are a number of smart phone applications that assist lawyers in calculating the date of a deadline. There are a number of iPhone apps of this type, which can be located in the App Store, including DaysFrom ($0.99), DateCalcPro ($1.99), DateCalc ($4.99) and Court Days ($0.99). For lawyers with BlackBerrys, DateMathica ($4.99), from Shrunken Head Software is good alternative. Another program, Date Wheel — creativealgorithms.com/date- wheel.html — is a due date calculator app that is compatible with a number of different smart phones, including Centro ($14.95), iPhone ($2.99), Pre ($14.95) and any other phone that can access the mobile Web. Finally, another app with a similar name, DateWheel, is available from Interstate Web Group users of Android ($0.99). As you can see, there are a number of interesting programs, Web sites and services available to litigators. Those I’ve listed are just the tip of the iceberg, but hopefully they will make your life just a little bit easier. Facebook Fan Pages, Online Collaboration and Encrypted Communications. I've been asked to host Blawg Review in celebration of International Women's Day, National Women's History Month and the 30th anniversary of the National Women's History Project. When I learned of the theme for this Blawg Review, I have to admit I was less than thrilled--mainly because I'm tired of thinking about women and the law. I've given this issue a lot of thought. Although I've been blogging about it for years now, my posts have been very infrequent over the last year. Why? Because it's downright depressing, that's why. Things really haven't changed since I graduated from law school in 1995. Even though women have represented approximately 50% of law school graduation classes for over 20 years now, women are still underrepresented in law firm leadership positions, but it's certainly not the the law firms' fault. Of course not. It never is. Regardless of fault, things haven't changed and are unlikely to change anytime soon. So forgive me for shifting my focus from something that is changing at a snail's pace to something that has changed exponentially since I graduated from law school: technology. Internet-based technologies have affected our lives in ways that most of us never envisioned in 1995. The way that Internet is changing the world is exciting and endlessly fascinating. That's why I co-authored the book "Social Media for Lawyers: The New Frontier" with Carolyn Elefant, which will be published by the American Bar Association this month. That same fascination is also why am in the process of writing a book about cloud computing for lawyers that will be published by the ABA at the end of 2010. I simply can't get enough of technology and for that reason I also blog about law and technology and write a weekly column for the Daily Record that focuses on technology issues. A good number of my blog posts and articles focus on encouraging lawyers to accept technological change. It's not easy an easy task, however. Because, not surprisingly, the legal field, which is so fond of looking backwards and focusing on precedent, has been slow to embrace technology just as it resists any type of change, including the influx of women into our profession. Some contend that the male-dominated legal workplace has spilled over into the blogosphere and much has been made of the theory that that blawgs are likewise dominated by men. I wholeheartedly disagree. Women lawyers blog; they even blog about tech, as you'll soon see. So let me show you around the blawgosphere and give you a taste of what's out there. In this edition of Blawg Review, you'll learn about 1) women and the law 2) what women blawgers have to say about law and technology, and 3) I'll throw in the kitchen sink, just to round things out. Sure, it's Mad Men, and it's a parody-- but it's not inaccurate for the time and, in some circles, arguably still accurate today. Is there gender bias in in dispute resolution? Vickie Pynchon thinks so, setting forth her proof in a series of posts, here, here, here, here and here. Diane Levin agrees, asserting that there is an implicit bias resulting in the absence of women and minorities from the prestigious ADR panels. Just as depressing, last week, it was widely reported that the recession has hit women in minorities in law firms the hardest--but fortunately, as discussed at the Wall Street Journal blog, in response, a number of large companies announced they would collectively spend $30 million to hire minority and women-owned law firms as outside counsel. A number of blogs and news reports heralded the "victory" for women lawyers in Saudi Arabia--whereby women lawyers would be allowed speak in court regarding family law matters. Geek Lawyer's take on this is quite apt. And, finally does "truth" have a gender? Rita Handrich explores this idea. Women blawg about technology, it's true. Here's my offer of proof. Martha Sperry, one of my favorite legal tech bloggers, offers advice on free online tools, why Facebook is important to bloggers, and a free iPhone app that allows you to edit Word docs. Lisa Solomon keeps you up to date on legal research and the Westlaw Next pricing scheme, while Carolyn Elefant discusses the ramifications of the LegalZoom lawsuit. Steph Kimbro, the queen of the virtual law practice, keeps you up to date with virtual law practice events around the web and the country. Tessa Shepperson reviews a mobile blogging app, Mippin, while Susan Crawford discusses patterns of broadband adoption. Rebecca Tushnet blogs about an upcoming IP/Gender conference: Mapping the Connections-Gender and Invention. Geri Dreiling offers tips on how to make your web-based legal content better and Shireen Smith explains why you should be aware of and monitor your online reputation. Finally, Monica Bay inquires whether suits and ties or similar attire should be required for photos at Law Technology News. And finally, a slice of everything else going on in the blawgosphere. Does political reform require neutrality? Lee Jay Berman thinks so. Should California pols be concerned with something other than cursing? Madeleine Begun Kane thinks so. Radiation level controls for diagnostic radiology are likewise being considered by our pols in Congress. Should a pregnant man receive legal aid? Yes you read that right, and Jen Burke tells you why he should. Finally, in recognition of Women's History Month, Vickie Pynchon calls on all bloggers to do something to help celebrate it. That's all folks. Thanks for listening. instructions how to get your blawg posts reviewed in upcoming issues. This week's Daily Record column is entitled "Legal research: the good the bad and the ugly." There is a grand scale transformation of legal research platforms occurring right now, which is a good thing for the legal profession as a whole.